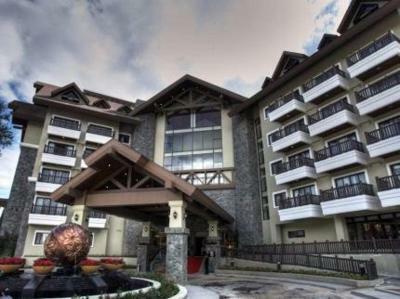 Lock in a great price for Azalea Residences Baguio – rated 8 by recent guests! 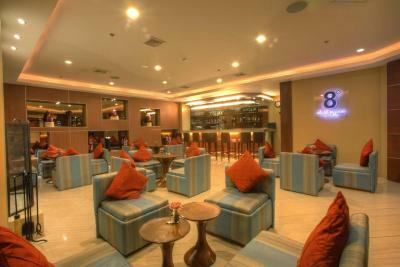 Well definitely recommend this to our family and friends..
Love the overall ambience. 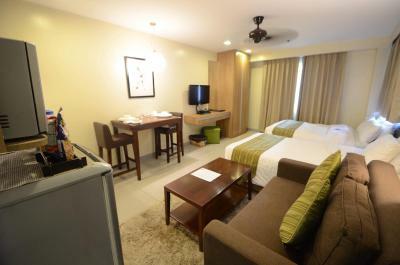 The staffs are all polite and courteous.The tranquility of the room and the entire locale is remarkable adding the instrumental sound makes it more serene. The toilet was broken before we moved into the room. After checking out, staff tried to tell us we broke part of her toilet and wanted to charge us 3 extra days of using the room for the repairs to be made plus the repairs to the actual toilet, totaling over $300 USD. The staff would not let us go for over 90 minutes as they tried to convince us of the need to pay for this, delaying our vacation. 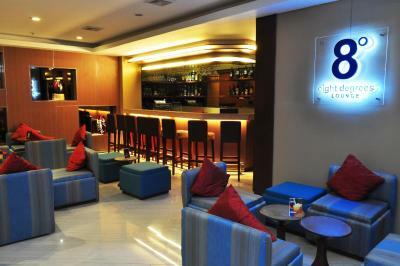 We really did like the ambiance and its standards. 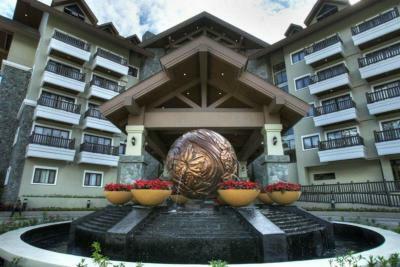 Location was very good, accessible to the tourist spots in Baguio. However, there was not much area for walking around. Our kids enjoyed the playground. 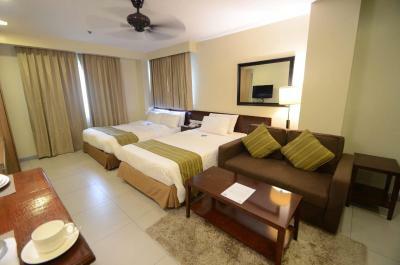 Very clean hotel and the staff are very friendly and are fast to serve you if you need anything. 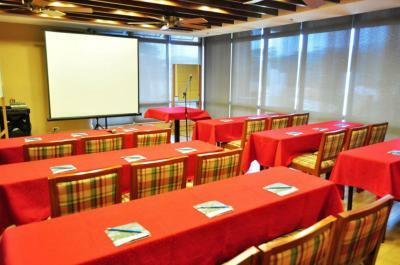 The location gives easy access to all the sites in Baguio. The buffet breakfast was very good with lots of choices. The room was big enough for us. We would like it more if rooms and toilet will be cleaner. Over all, we had a nice time and enjoyed our stay. 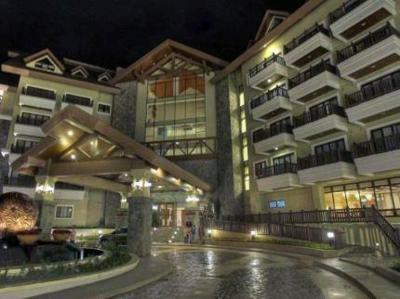 perfect place to stay in baguio! bed & pillows are very soft & comfy! food is great! Proximity to some tourists attractions, size of room. 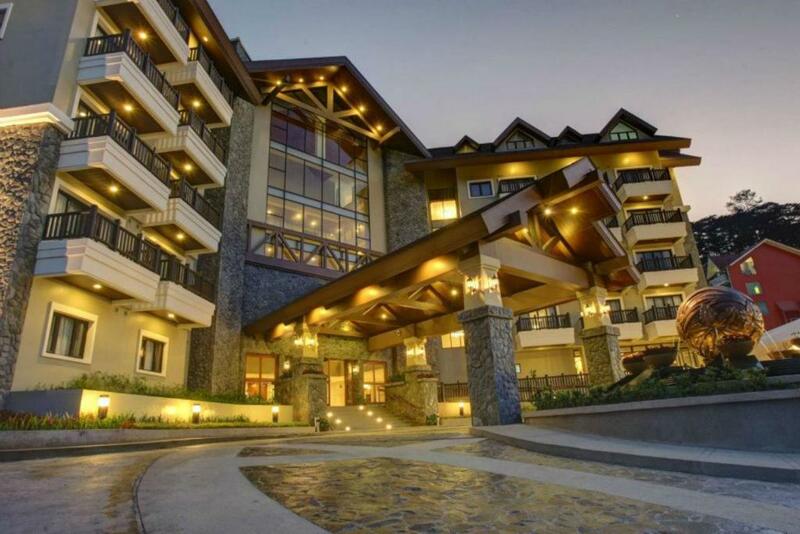 Azalea Residences Baguio This rating is a reflection of how the property compares to the industry standard when it comes to price, facilities and services available. It's based on a self-evaluation by the property. Use this rating to help choose your stay! 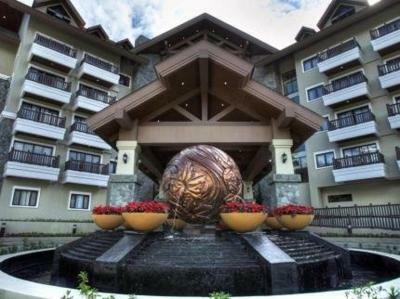 One of our top picks in Baguio.Azalea Residences Baguio is in Leonard Wood, a 10 minute drive from the SM Shopping Mall and the Mines View Park. It has a coffee shop, free parking on site and free Wi-Fi access. 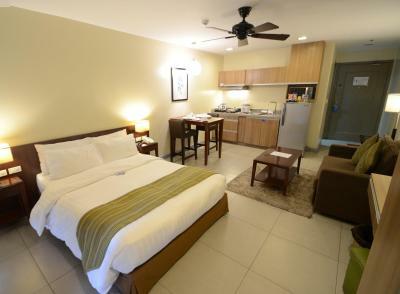 Guest rooms are equipped with a work desk, an iPod dock and a flat-screen cable TV. 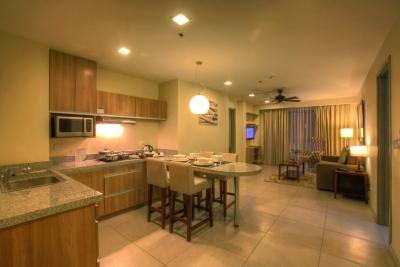 Each has a kitchenette with a microwave and a fridge. Laundry services are available. 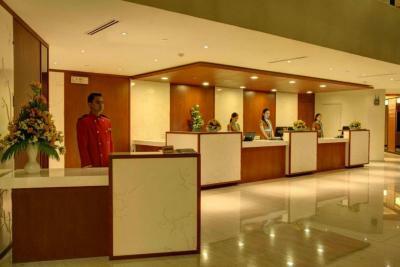 Guests can request concierge services. 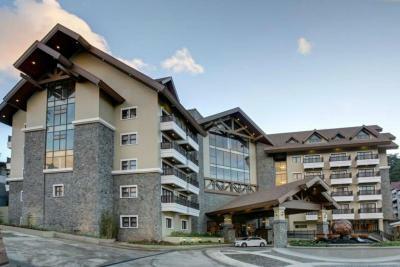 Tour packages and vacation services can be arranged at the 24 hour front desk. 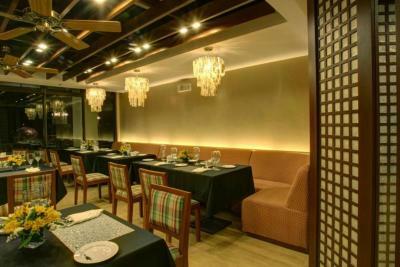 Azelea Residences Baguio's Coffee Shop serves a selection of local and international dishes. 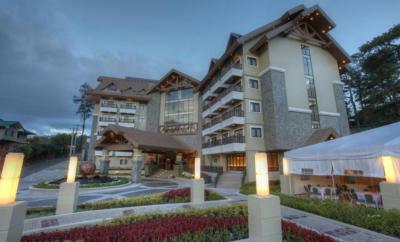 Baguio Azalea Residences is located across the Teacher’s Camp and a 10 minute drive from Camp John Hay. 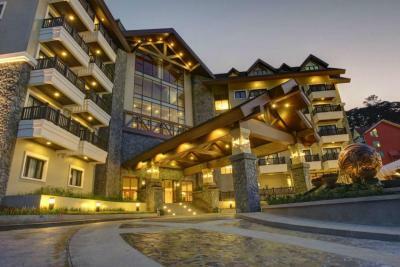 When would you like to stay at Azalea Residences Baguio? Room has a well-equipped kitchenette. Room does not have a balcony. 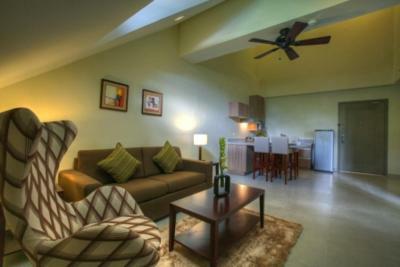 Apartment has a well-equipped kitchenette and a separate living room. 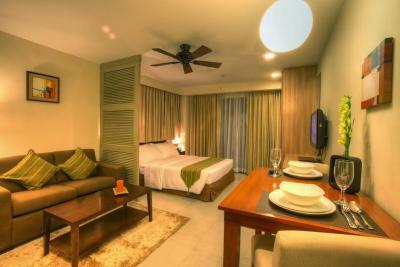 A room has a private balcony, a flat-screen cable TV and a private bathroom. 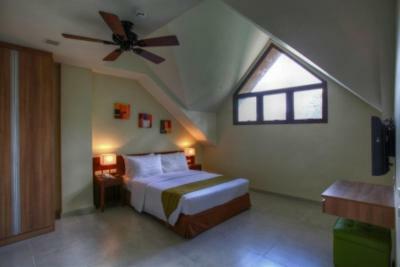 This spacious apartment features a bedroom with 1 queen-size bed and private bathroom. 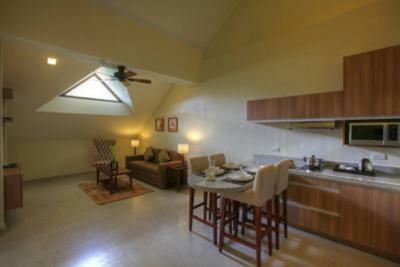 The separate living room comes with a sofa bed, LCD TV and DVD player. Other facilities include a fridge, microwave and dining area. 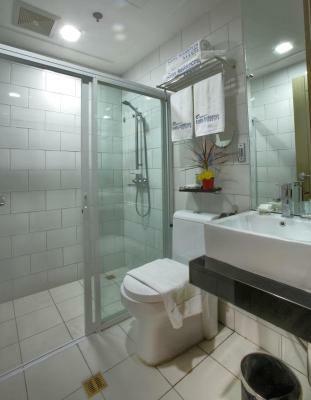 This quadruple room features a bathrobe and cable TV. 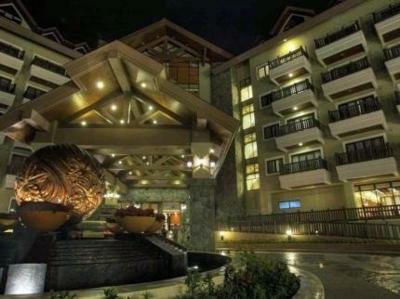 House Rules Azalea Residences Baguio takes special requests – add in the next step! 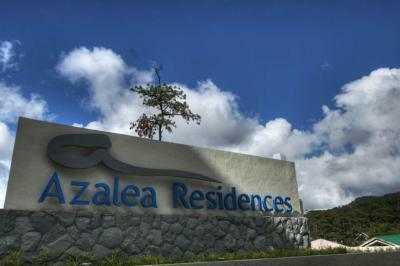 Azalea Residences Baguio accepts these cards and reserves the right to temporarily hold an amount prior to arrival. Please note that the right wing area of the hotel will be going through renovation works from 08:00 until 20:00. During this period, guests may experience some noise or light disturbances, and some hotel facilities and services may not be available. The whole staff are not hospitable. They will let the guests wait even after 2 PM required check-in time. They are insensitive. When you confront them, that is the only time they would check the room. They rate their hotel as 4 star but the service is not. I booked and paid a 2 bedroom suite in advance, but treated me as if I did not pay for a suite. The bathroom is not thoroughly clean and had a foul smell. The elevator is too small. Nothing. I will not stay here again. 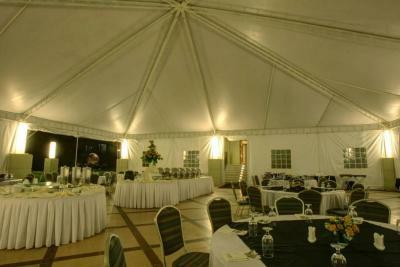 The location, the rooms, staff and breakfast. The toilet flush is hardly working. The ceiling fan at the living room is not working. i like the room and food during breakfast.. It's early to check out haha.. 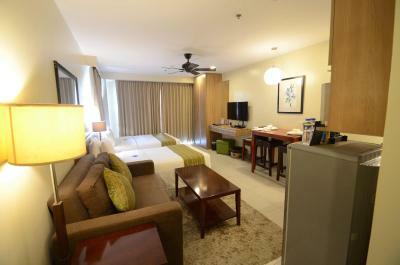 The noise at the function room, lighting at the bedroom area and absence of aircon. It tends to get warm in the afternoon. 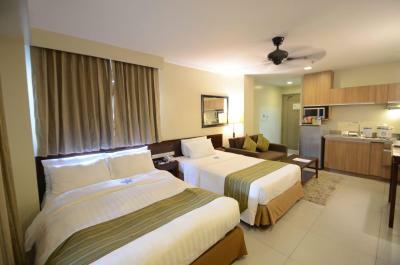 The comfortable bed, room amenities like ref, cooking needs and utensils. Looks new in pictures only. The comfort room is smelly. They can’t accomodate all their guests in their dining hall for breakfast, they will ask you to wait-which i think is unfair, considering that free breakfast is offered in the packages. Hairdryer is not working. Balcony is dirty. Accessible location. Nice and attentive staff. Just to provide more food restaurants. The place is spacious.Staff are welcoming.